First of all, the film is beautifully and masterfully shot. Its closest kin in terms of cinematic ambition and themes is Roland Joffe’s The Mission (1986). 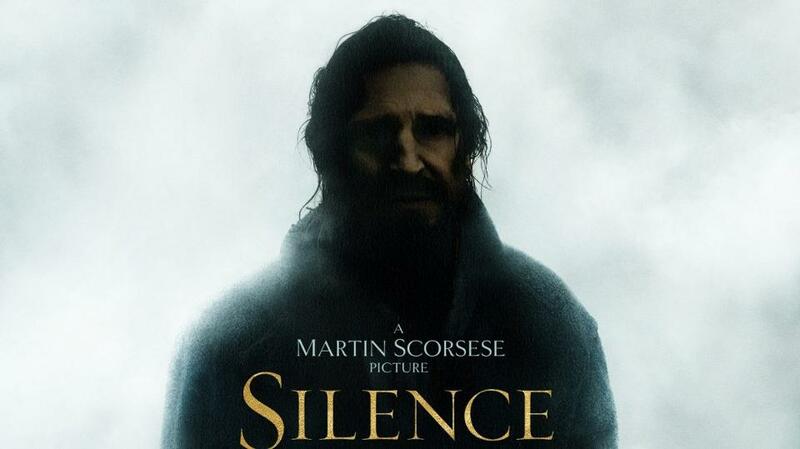 True to its name, Silence is not hauntingly soundtracked with oboes and indigenous choirs, but rather with drumbeats and wails and environmental sounds. The rocky ground on which Christianity lands in Japan finds its echoes in the crashing of waves where Japanese converts were forced to choose apostasy or torture. Those who refused to renounce their Christian faith were subjected to cruelties such as anazuri (hanging upside down over a pit, being slowly bled to death) or by a sort of the crucifixion in which the martyrs were not nailed to crosses but instead lashed to them and set to drown at high tide. Other scenes, of course, recall not only other movies but also images from scripture and tradition. The captured Fr. Rodrigues (Andrew Garfield) being paraded to prison echoes Jesus’ triumphal entry into Jerusalem (Jn 12). His trials, which grow progressively more harrowing, are grounded in the seeming abandonment from God (Ps 22). Kichijiro (Yôsuke Kuzaburo), in his terrified renouncements and betrayals and anguished pleas for forgiveness, is the Judas of this tale. The witness of Rodrigues before the old samurai Inoue (Issei Ogata) and the interpreter (Tadanobu Asano) is reminiscent of Dostoevsky’s “Grand Inquisitor” chapter. And the Japanese converts choosing to gather and pray in secret, at great risk, are like the early Christians in the catacombs. As the converts ached for their faith to be nourished by the sacraments– namely baptism, reconciliation, and Eucharist– the power of sacramentals, the tangible signs of the divine were all just as real: the crosses, folded and braided out of dried grass; the wooden rosary, broken apart for the beads to be distributed like the Eucharist itself; the fumie, with its carved images of Jesus, Mary, or other holy figures; the El Greco-esque painting of Jesus in which Fr. Rodrigues sees his own reflection. Things like these feed not only the Catholic imagination but also the faith. To see them play such a pivotal role in illustrating the dilemma that converts and missionaries alike faced was poignant. There is, of course, the matter of the title itself. The silence can refer to the dilemma that several of the main characters– mainly Rodrigues, Fr. Ferreira (Liam Neeson), Kichijiro, and the community of converts– each face. Should they not only hide their faith, but renounce it publicly and repeatedly? If so, to what end? Is the real truth of one’s commitment hidden in the heart, known only to God alone? There is also the silence from God: why is God seemingly deaf to the cries of the persecuted converts? Is their suffering for naught? Rodrigues– and, by extension, Ferreira– sees that there is no glory or romance in martyrdom, only very real and brutal suffering, The process by which he wrestles with that in comparison to the existential and metaphysical pain of apostasy shows how much he has to shift everything he thought he has ever known and believed, particularly about the nature of faith. Lastly, Silence provokes numerous questions about the role and value of missions, the nature of interreligious encounter and dialogue, and the possibility of ever knowing the other– person or God. An exhaustive treatment of any and all of those aspects is not possible here, but one must acknowledge them in critical reflection. In my case, watching this film as a 1.5-generation Asian American whose country of origin (the Philippines) continues to grapple with the legacies of mission and colonization makes me question why conquest was/is ever necessary. Can we ever think about the exchange of equals– giving proper weight and respect to another religion, country, culture, or view– or must one always be superior? Does that search for truth and the insistence on universals narrow our own perspectives so much that we cannot recognize the humanity and truth in another? In the end, Silence is definitely worth the ticket. It offers much for rich personal reflection and would also be a great addition to a theology or philosophy syllabus. I invite your thoughts below.